IHG® Rewards Club - eBooks - Youth Rising? Over the last decade, "e;youth"e; has become increasingly central to policy, development, media and public debates and conflicts across the world - whether as an ideological symbol, social category or political actor. Set against a backdrop of contemporary political economy, Youth Rising? seeks to understand exactly how and why youth has become such a popular and productive social category… and concept. 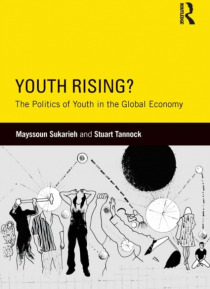 The book provocatively argues that the rise and spread of global neoliberalism has not only led youth to become more politically and symbolically salient, but also to expand to encompass a growing range of ages and individuals of different class, race, ethnic, national and religious backgrounds.Employing both theoretical and historical analysis, authors Mayssoun Sukarieh and Stuart Tannock trace the development of youth within the context of capitalism, where it has long functioned as a category for social control. The book's chapters critically analyze the growing fears of mass youth unemployment and a "e;lost generation"e; that spread around the world in the wake of the global financial crisis. They question as well the relentless focus on youth in the reporting and discussion of recent global protests and uprisings. By helping develop a better understanding of such phenomena and critically and reflexively investigating the very category and identity of youth, Youth Rising? offers a fresh and sobering challenge to the field of youth studies and to widespread claims about the relationship between youth and social change.